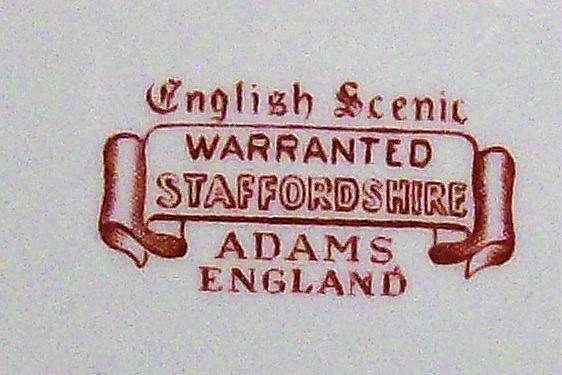 Adams "English Scenic" dinner plate in red (pink) transfer. Ca. 1930's older style with shaped edging. 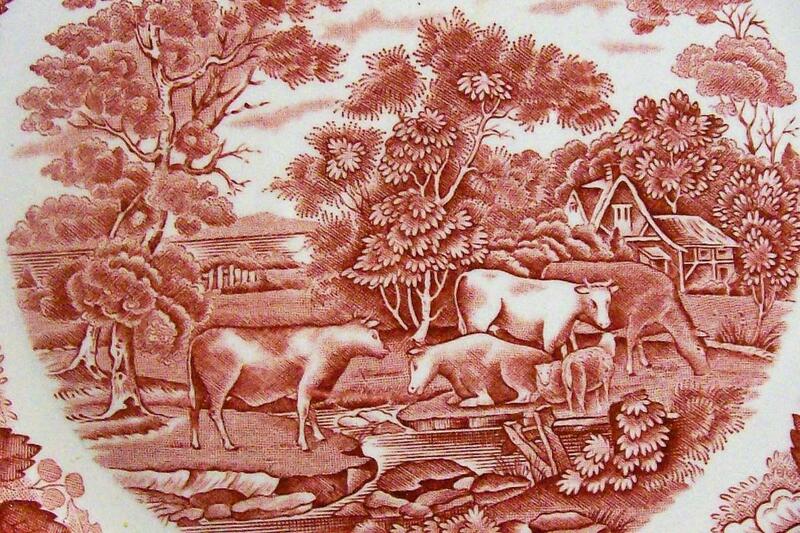 Pastoral scene with cows. 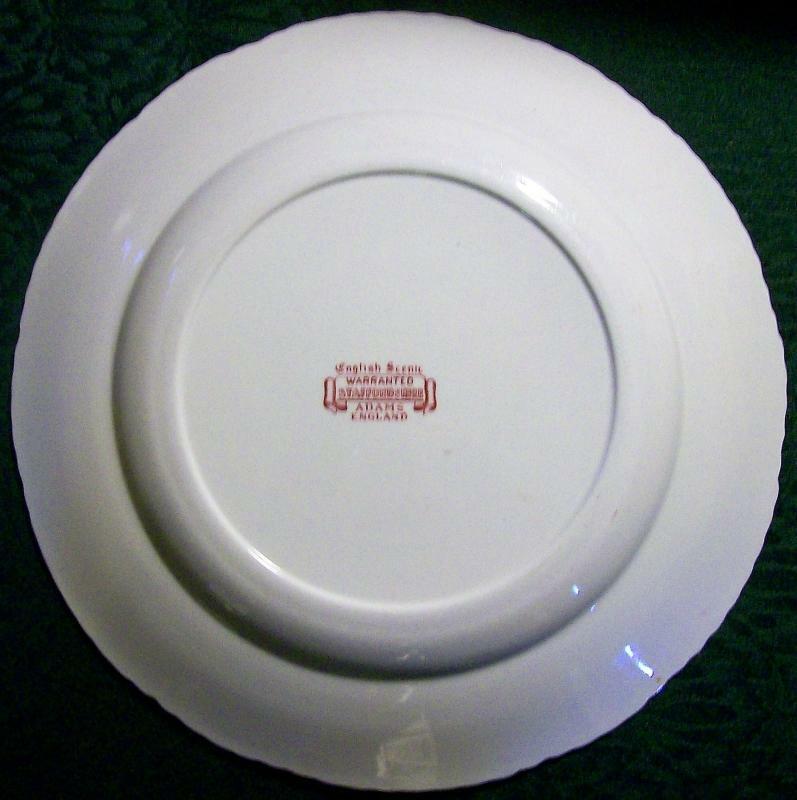 Measures 9.75"d. Very good condition with no chips or cracks. Have others that are 10"d with some minor damage if interested. Inglenook Antiques...Established 1989. 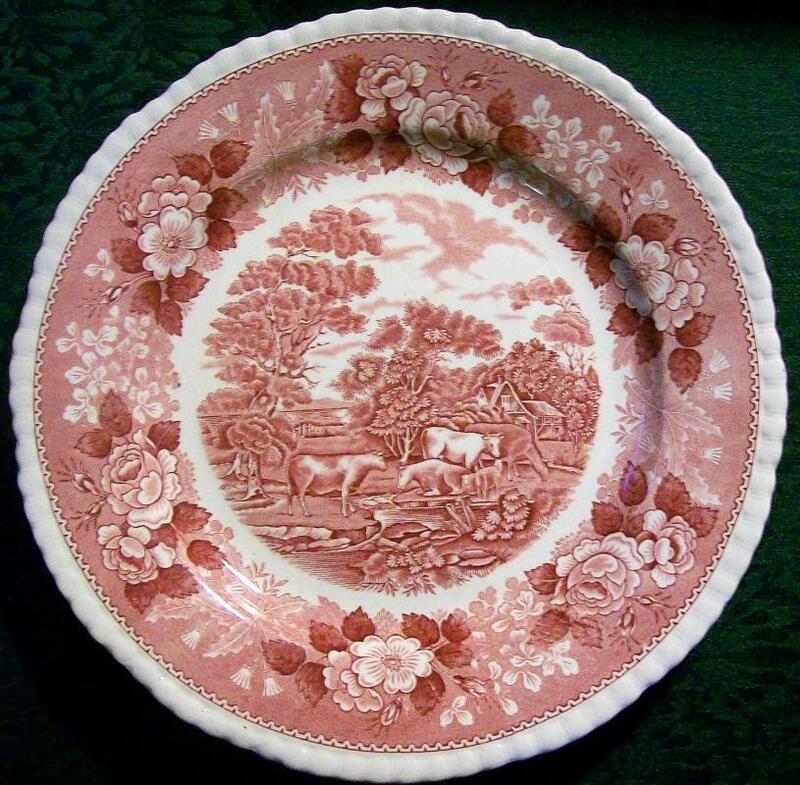 Items Similar To "Adams "English Scenic" Ceramic Plate 9.75"D Red/Pink Transfer Ca...."